Last year, The Venetian, The Palazzo, and Sands Expo Las Vegas partnered with local non-profit conservation organization Green Our Planet to build six garden beds, equipped with drip irrigation lines, composter bins, and a garden shed, for a local elementary school. 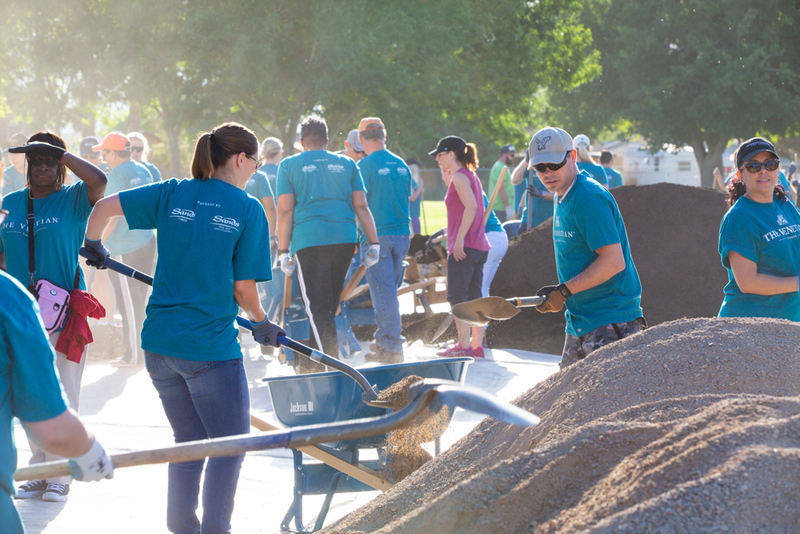 This May, the partnership expanded, and more than 600 Team Members came together to build an additional 12 gardens for various schools throughout Las Vegas. Trees were planted, garden beds were prepped, and new soil was laid, for children of all ages to plant and grow fresh veggies and fruits. The school gardens are used as natural laboratories, and help curious students learn about STEAM (science, technology, engineering, art and math), nutrition and conservation, through project-based, hands-on learning. After the ‘Great Garden Build’, Team Members attended ‘Green Our Planet’s Giant Student Farmers Market’, where more than 40 schools and 400 students sold their school garden-grown produce! 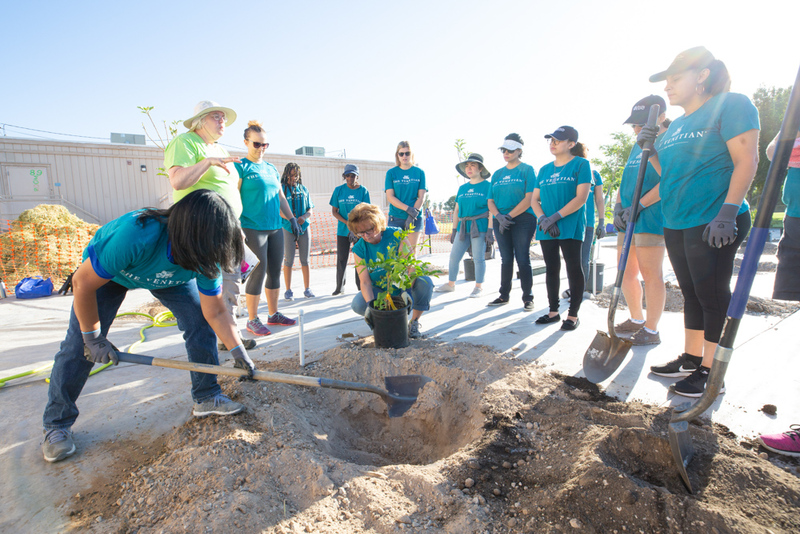 Las Vegas Sands’ sustainability and citizenship programs, Sands ECO360 and Sands Cares, have committed to funding the many of the outdoor garden classrooms for the next three years. Visit our blog for more on this story. To learn more about additional sustainable food initiatives Las Vegas Sands supports through its Sands ECO360 sustainability program check out their newest 2017 Environmental Progress report!